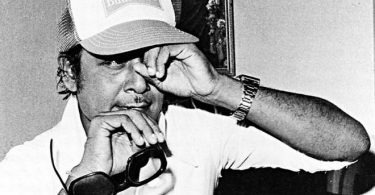 Call it a limitation or treat it as an advantage – the Kannada New Wave cinema of the 1970s depended heavily on Kannada literature. Films like Samskara, Vamshavruksha, Hamsageethe or even Ghatashraddha based themselves on Kannada language novels, mostly by the same names. 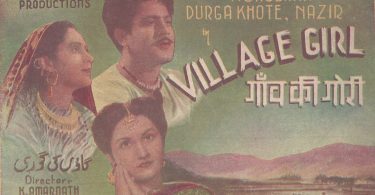 Therefore, it was but natural that the concerns and the sensibilities of many such films were based on and similar to the concerns and sensibilities of their literary counterparts. Ondanondu Kaaladalli seems to be an exception – for it is one of the rare Kannada new wave film that has based itself on an original story – a story whose roots could be traced back to not to the framework set by any literary work, but to Japanese director Akira Kurosawa’s Samurai films. While in its martial arts training sequences, we can see elements of Kurosawa’s Seven Samurai, it is Yojimbo and its nameless warrior that Ondanondu Kaaladalli owes most of its allegiance to. While Yojimbo is about an unemployed samurai who wanders into a small town to set two warring factions against each other, Ondanondu Kaaladalli is about a jobless warrior in medieval India who gets caught in a deadly battle between two warring feudal landlords and a war commander who seeks revenge for the humiliation meted out to him. Though the plot line of the two films differs drastically in its details, at the macro level, both films talk about the futility of the destruction caused by hatred and the resultant mindless violence. There is a distinct difference in style in Ondanondu Kaaladalli when compared to Girish Karnad’s earlier literature based films like say Kaadu (The Forest). Kaadu depicted dilemmas of characters caught in a violent trap of their own making. Although the forest did play an important part in its mise-en-scene, the emphasis was on close ups of human faces and their emotions. In Ondanondu Kaaladalli we see more of the forests than human faces in close ups. Consider the first sequence – the camera zooms out from the mountains to see a dense forest and then pans to another aspect of the forest. Cut to – deep in the jungle we ahve a parallel track of the huge trees. We hear people shouting. Then it cuts to a hand held extreme long shot of two mercenaries running towards the camera. As they become clearly visible the camera runs back along with them. They are chased by a few men. Even in the detailed chase that immediately follows, more or less either mid-long shots or long shots or extreme long shots are used. And by and large, the lenses used too are mostly wide angle lenses, where more of the background is seen when compared to a normal lens. The first few shots of the film not only set the tone to the violent nature of the times in which the film is unfolding, but it also establishes a mise-en-scene pattern that is faithfully followed elsewhere in the film too – in many dialogue sequences, the training sequences as well as in romantic sequences. Most times the characters move within the frame and in other times, the camera moves slightly to adjust the characters – the dynamism of the shots are thus adjusted according to the needs of the sequences. The tendency to inter-cut between the characters is minimized and therefore the close up is hardly used. It is at the most mid shots… that too only when it is needed, like if there is a change of emotion within a scene or if an important information is given by the character. Coordinating the movements of the characters to the movements of the camera works well for Ondanondu Kaaladalli. For example in the sequence where Kapardi comes to Maranayaka’s house with his family when he hears of Permaadi’s threat, there is shot where Maranayaka and Kapardi have an argument. The camera is looking down on Maranayaka who is sitting in the portico and Kapardi is standing below in the background at ground level. As he is arguing Kapardi first climbs one step towards the portico and then comes to the portico. The camera tilts up to become a low angle shot. Maranayaka then gets up and then goes further into the portico, the camera pans with him to leave Kapardi. Kapardi then enters frame and the arguments continues. Little adjustments here and there and you get different shots within a single shot. But at times this dependence on character movements does give a theatrical look to some of the shots. On the eve of the battle day, Savantri tries to argue with Jayakeshi not to get involved in the fight. Even as they talk, Jayakeshi takes a different position on the steps of a house by a village lane as he tries to argue with Savantri that he needs to be the ruler and not a servant as he is now. He reaches the top step as he says this – obviously a symbolic reference to the power that he seeks. While such symbolic movements do work well on stage, it does look a bit contrived on film. But fortunately, such moments are far and few in the film. Ondanondu Kaaladalli is a film about professional mercenaries. Although there are a lot of fight sequences, the film is far from being an action thriller. Violence is not a means to excite the audience, but it is a means through which a certain aspect of human nature is commented upon. The mise-en-scene of the fight sequences itself betrays this intention of the film maker. For one, ‘Kalarippayattu’ the ancient martial art form of Kerala, is extensively used in the film, giving it a realistic feel to the fights. Almost all the fight sequences in the film – be it the group attack on Gandugali in the beginning or the Permaadi-Gandugali one to one fight or the Vejjada-Gandugali fight or any of the fights in the climax of the film – are shot with a sense of detachment. Most of it is in either long shots or extreme long shots. The mid shot is used only when there is a pause in the action. There are no fast cuts, as is the norm in any mainstream cinema fight sequence. There are hardly any build ups of the Sergio Leone kind – like close up of eyes watching, hands itching to grab the swords etc. Although Bhaskar Chandavarkar’s music uses western instruments, it is not too loud thus contributing to the sombre effect of the film and the fights sequences. The idea, I guess, is not to mesmerize the audience with action and violence, but it is to reflect upon its nature. 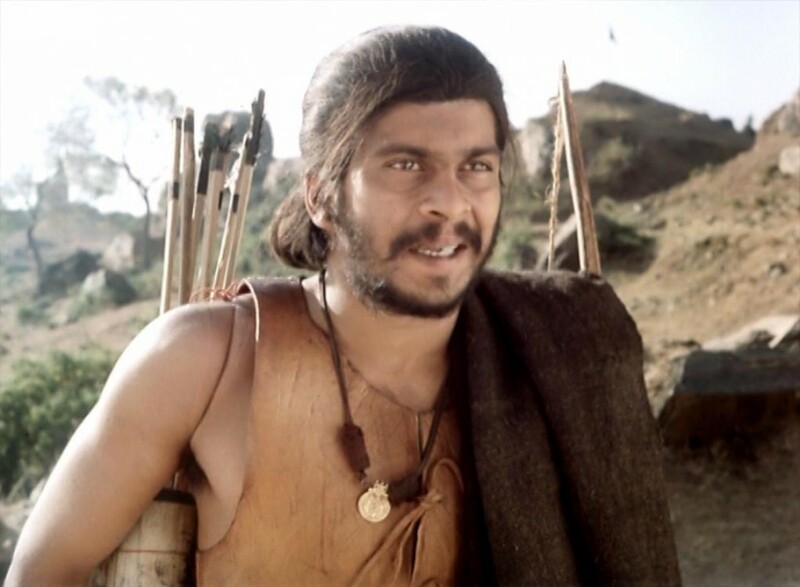 It is a different matter that Ondanondu Kaaladalli gave the mainstream cinema in Bengaluru its most popular action hero in its lead actor, Shankar Nag. Later on, many mainstream producers used the services of this actor in films that had ‘fights’ as their unique selling points. Such was the popularity of the swaying mannerisms of this actor, so evident first in this film that later on when he became an action star his fans gave him a title – ‘The Karate King’. The initial Kannada New Wave films hesitated to work with stars, but in this case it had created one.